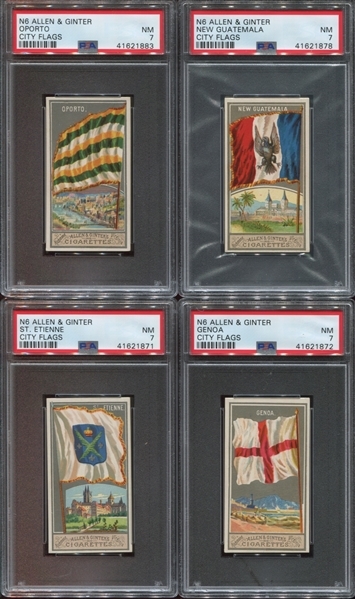 The N6 Allen & Ginter City Flags set is one of five different A&G Flag sets. This set pictures the city flags for 50 of the largest, most prominent cities around the world. Cities like New York, Paris, London and many more are represented. 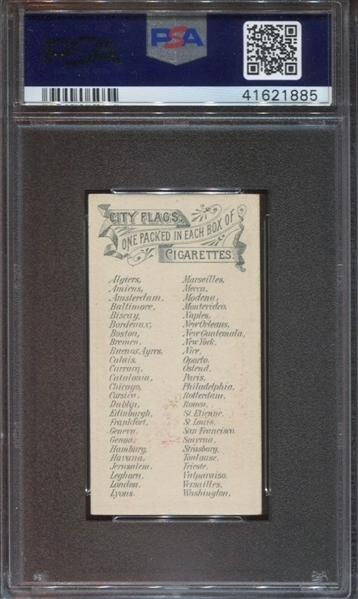 The card fronts have a silver-type tone to them picturing the city flag and a small inset vignette of a scene that made the city famous. The card backs list the checklist for the 50 card set in alphabetical order in two columns. 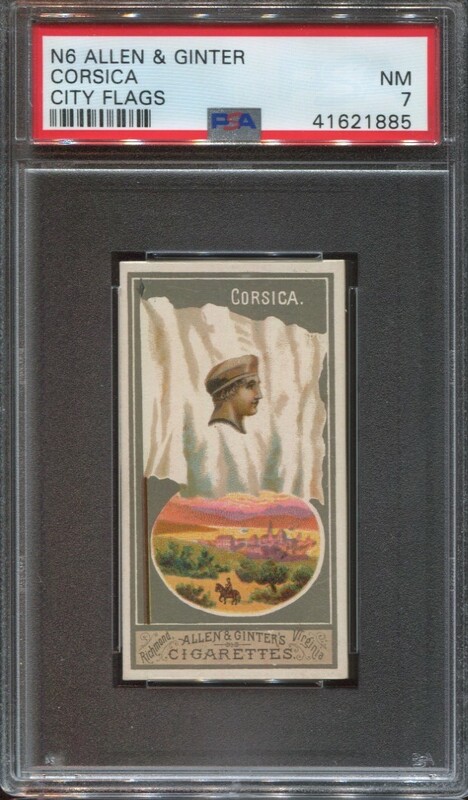 This lot contains the following five cards in PSA7 NRMT condition: Corsica, Genoa, New Guatemala, Oporto and St. Etienne. 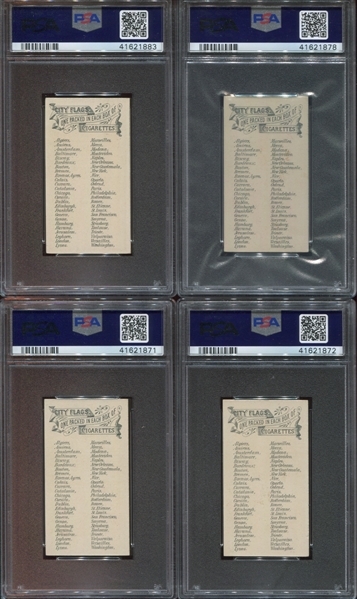 Of the 271 cards from this set that PSA has graded, there are only thirteen in PSA7 and two better. This lot represents nearly half of the PSA population. 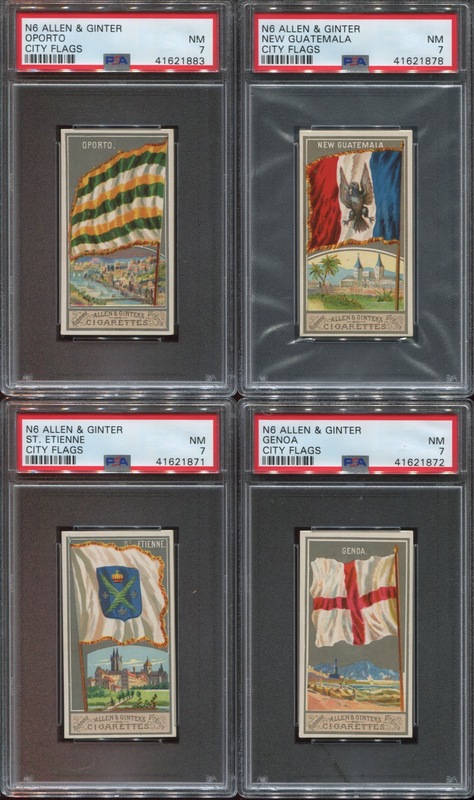 All five of these cards are the highest graded with Genoa and New Guatemala being the lone PSA7 copy.